The policy is to be incorporated in the city region’s emerging Spatial Development Strategy (SDS), will have legal weight and will join up housing, transport, green space and other planning policy across the whole region to mitigate the effects of climate change. 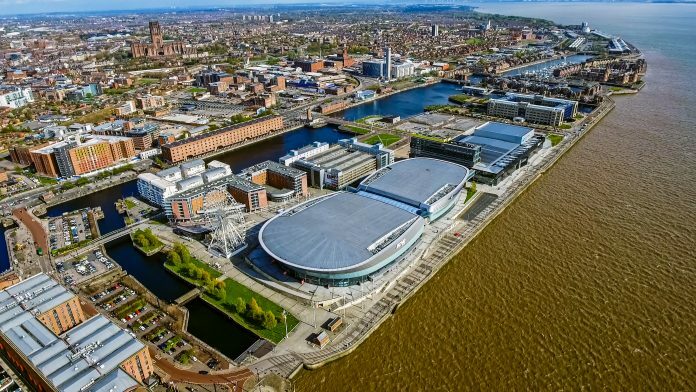 The RTPI and the Combined Authority will work with Halton, Knowsley, Liverpool, Sefton, St Helens and Wirral councils, alongside experts from the Universities of Liverpool and Manchester to pinpoint specific issues as well as the needs of the whole Liverpool City Region. The project is driven by the concept of ‘climate justice’ and puts fairness, equality and inclusion at the heart of the city region’s response to climate change. Steve Rotheram, Metro Mayor of the Liverpool City Region, said: “In my election manifesto I pledged to ensure, wherever possible, that new developments are built in the right places and to safeguard the future of our environment. This important work is key to fulfilling that promise. Victoria Hills, RTPI Chief Executive, said: “We know that some of our most vulnerable communities will bear the brunt of climate change’s impacts over the coming decades. Broad national and international climate change policies are not enough by themselves to address this; city-level plans that build communities’ resilience according to unique characteristics of places in which they live will be crucial. Once the SDS is published, future decisions on planning applications would need to take its policies into account, including those relating to climate change resilience. This will help push up standards and safeguard the city region against the effects of rising sea levels, increasing flooding and extreme weather events, and a range of other threats. The work will feed into guidance the RTPI is producing for other organisations wishing to take a socially progressive and pragmatic approach to strategic planning for climate change.